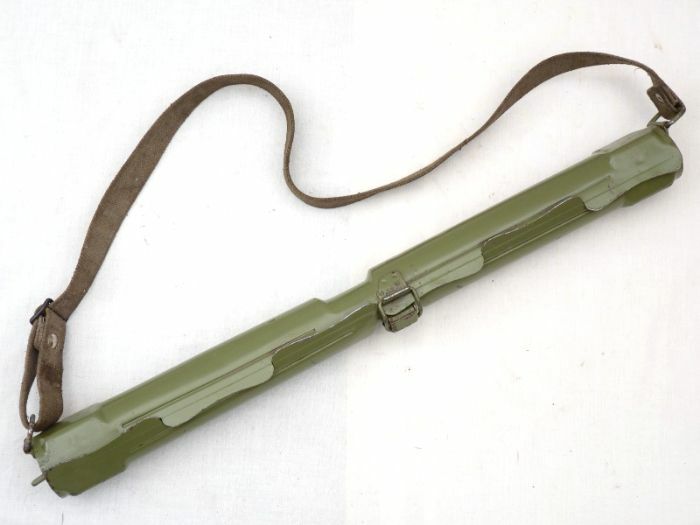 Spare barrel case with sling for the Yugoslavian made MG53. 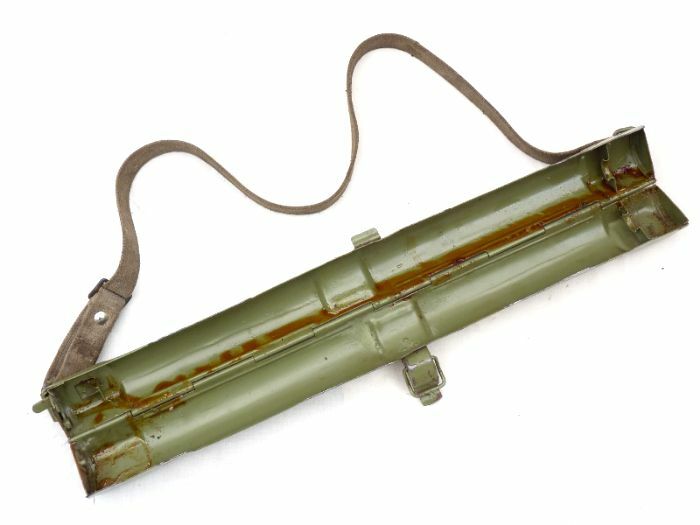 Pretty much identical to the MG42/34 barrel case used by the Wehrmacht during WW2, as it was made at the same factories that produced weapons under German occupation during WW2. 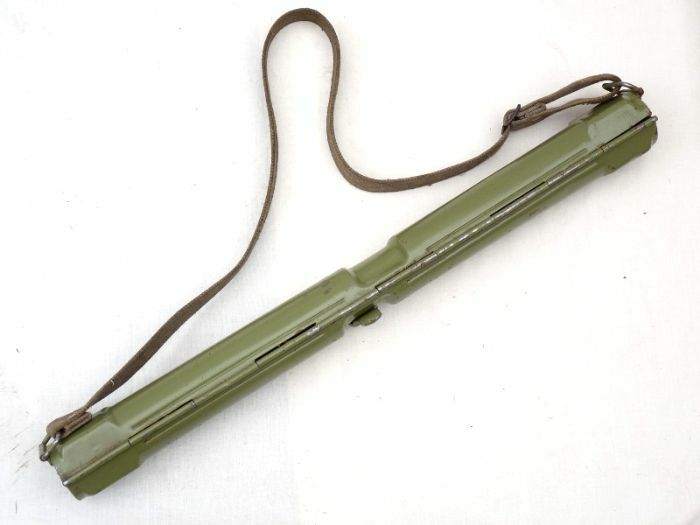 Unmarked on the ends, like the German ones were, but a cheap alternative for the reinactor. Very good condition overall, no dents, with only light marks on the strap, no frays. NOTE: Picture is representative as we have a few of these in similar good condition.